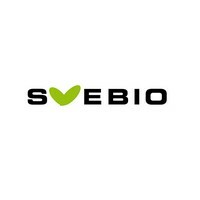 The Swedish Bioenergy Association (Svebio) was founded in 1980, after the oil crisis in 1979. At that time bioenergy accounted for 10 percent of the energy supply in Sweden. Bioenergy was not yet commercial and a major part of the bioenergy was used internally in the wood industry. As a non-profit organisation, Svebio has played a central role in bioenergy development. In the beginning Svebio provided a needed network to enable commercial use of wood chips in district heating systems. Almost all actors in the bioenergy field, including municipalities and politicians, were involved in this network. A lack of knowledge of bioenergy was common and conferences arranged by Svebio have contributed in turning bioenergy into a commercially accepted fuel. A major historical event was the BioEnergy 84 World Conference in Gothenburg with Svebio as the main organiser. Today Svebio consists of around 300 members, most of them enterprises active in producing/providing biofuels or using biofuels on a larger scale. Also among Svebio´s members are manufacturers/providers of burning equipment, machinery for collection and processing of biofuels, consultants, scientists, politicians as well as some private members. The broad spectrum of members has contributed to Svebio´s present position as a trustworthy voice among decision-makers. Svebio is playing an active part in all major political decisions concerning bioenergy and bioenergy-related matters in Sweden.